Belgium has long been the undisputed if unlikely home of some of the best and most iconic Dark Electronic acts; from Front 242 to Lords of Acid, there’s no question that the tiny, trilingual country inspires something unique for composers and producers. 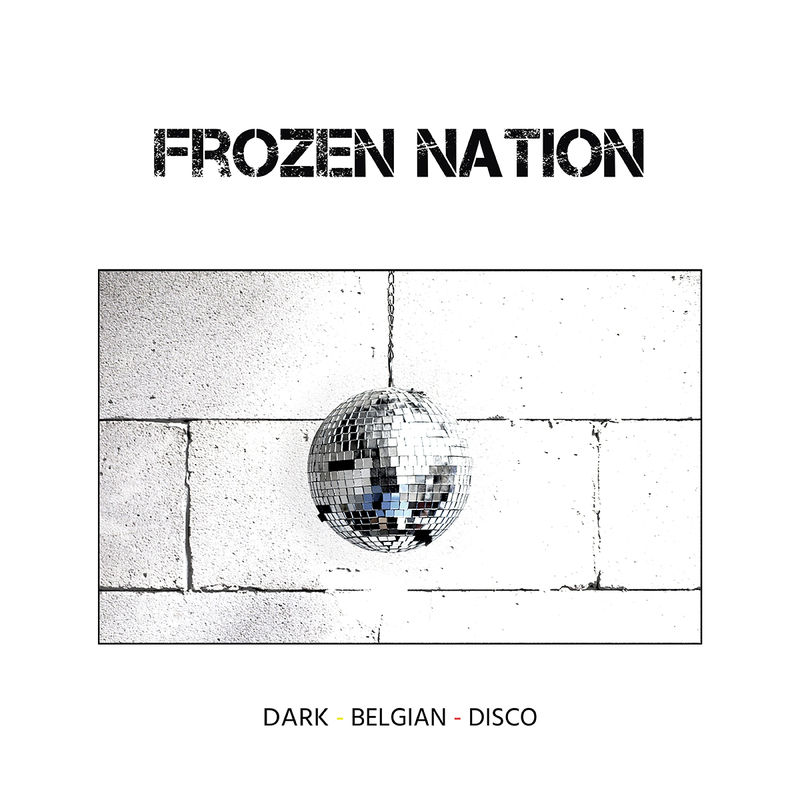 Newly emerging is Frozen Nation, a fusion of Dark Synth Pop and high energy Disco with a flavor of old school Industrial inserted here and there, who has dropped their debut LP, Dark Belgian Disco; we can’t think of a more aptly titled album. What they describe as a “hazardous crossover between darkwave, goth, EDM and disco music,” Dark Belgian Disco has a nostalgic New Wave sensibility infused with energetic dance beats, brooding vocals, and crisp, modern production that will appeal to fans across the genre spectrum. 10) Do You Like The New Gods? The members of Frozen Nation are D&D, Moss, and Elvis. They met at Spector Studio in Brussels during a very harsh winter. Sharing a common passion for new-wave and post-punk bands they started to make songs together and soon released their first track, “I Failed For You“. Elvis is a modular synthesizer built during the 70s by an unknown genius for the band Jethro Tull, when D&D found him during a live tour in France, he was in poor health, they repaired him and gave him back his lost fame, and then they built new modules around him. Before settling in Brussels D&D have worked in Paris with many projects such as TTC, Holden, DJ Cam, making music for JC De Castelbajac, Chanel, etc. They master all the production stages from building their own equipment to playing, recording and mixing music. They love Disco and Dance music and write catchy pop songs. Moss is from the legendary Brussels’ district “Les Marolles”, he’s tall and introverted, he has spent few years in Scotland during studies, he always tries to sing the catchy melodies in a dark way and writes somber lyrics, it’s a funny fight with D&D, but these contradictions have contributed to create the style : the Dark Belgian Disco. Their debut album, Dark Belgian Disco was produced, recorded and mixed by D&D at Spector Studio in Brussels for the label Sub-Continental. D&D performed real drums, bass, guitar, sequences with Elvis modular synthesizer, MPC 60, Drumtracks, Prophet VS, Roland sh09, cowbell, rototoms, Oberheim M1000, Ensoniq Esq1, as well as providing backing vocals. Some fellow musicians from bands working in Spector Studio were invited to sing : El Draner from the band Joseph on back-up, Mandales who provide peplum style backing vocals and animal noises, and Astrid B. & Sabrina also provided lead and back-up vocals.